Highfield Hall & Gardens is committed to creating moments of ENGAGEMENT, DELIGHT, and LEARNING to be enjoyed by all visitors. We are developing and implementing projects—both big and small—aimed at educational programs and facility improvements. This multi-year commitment is an ambitious project to develop sustainable water management, create an outdoor family interactive experience, improve the grounds to be more universally accessible, expand our gardens and continue strategic planning for outdoor sculptures. Come join the effort! Phase One of the Gardens Initiative was completed in the summer of 2018. Now we are working on Phase Two to transform The West Gate, make the Music Garden fully accessible, and connect to a new handicap-accessible garden entrance. A bridge over a new water feature, gorgeous flowering trees, lush ornamental grasses, a second bridge over a hollow, and new outdoor seating are also part of the dream. We engaged Jennifer Brooks, a leading landscape architect, to create a master plan for the estate. Jennifer is a founding partner and the principal designer of Lemon Brooke landscape architecture firm in Concord, MA. Prior to establishing her firm, she earned her MLA at Harvard University, where she received several awards for excellence. She was also a tenured professor at the University of California Berkeley, where she developed and taught graduate courses in Ecological Planning and Design. Because she is a parent of a sensory- and mobility-challenged child, she is especially motivated to create aesthetically compelling and universally accessible spaces. Sustainable water management is at the heart of a larger effort to develop a self-sustaining irrigation system for the entire property. We installed a well on the Highfield grounds to provide water for all our gardens. 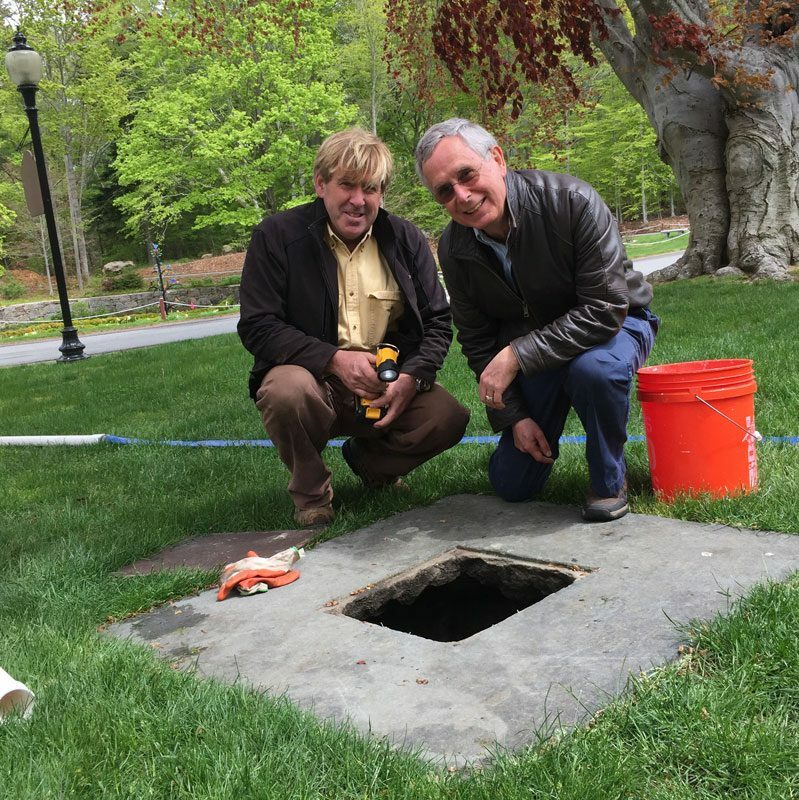 Dating back to the 1800s, the Beebes maintained a cistern on the property for their water needs, and we are continuing to develop a self-sustaining irrigation system for the 21st century. 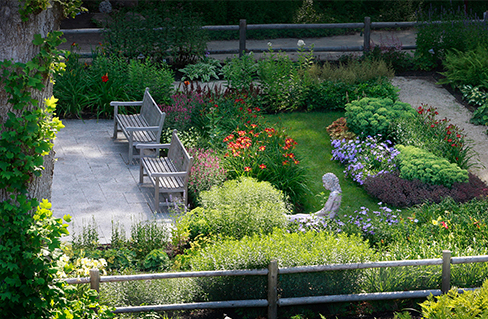 Our gardens are spaces for education, enjoyment, and contemplation. We strive to be sustainable and responsible stewards of our environment. This garden illustrates the important role that pollinators play in our world—all in a beautiful, fun, and accessible way. You’ll find the Pollinator Path on the Beech Tree Path near the Garden Shed. Take a seat on the Garden Shed bench to relax and enjoy the beauty of the gardens. We are committed to making the property and grounds more accessible for all visitors. Clearing trails and removing roots, adding gathering and resting spaces, widening paths—these are a few of the ways we are making our property easier to explore. 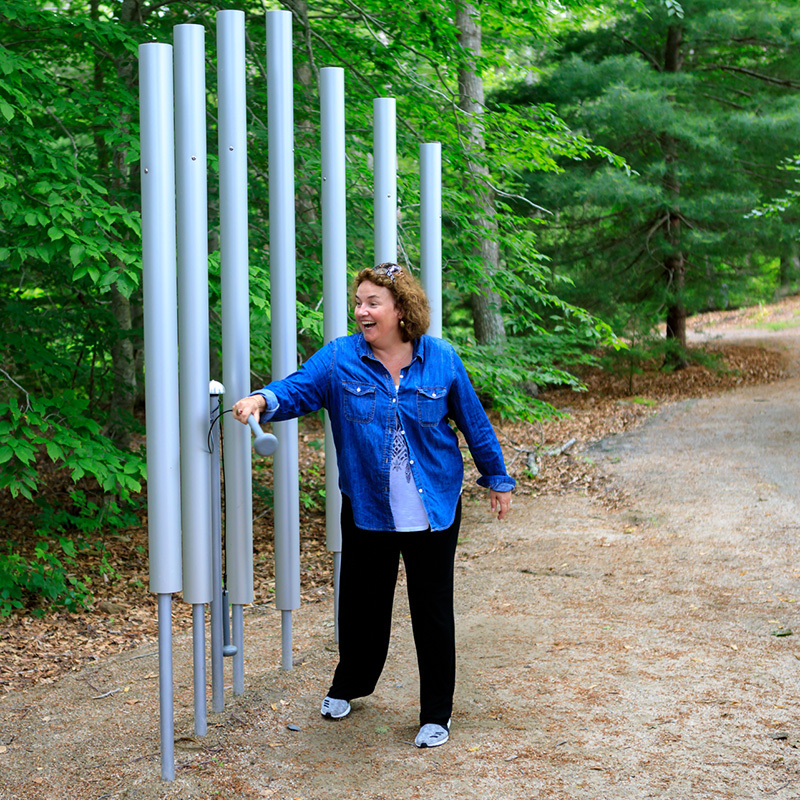 Along the Beech Tree Path, we installed a series of musical instruments including nine feet tall chimes, a set of five drums, and a xylophone. This kind of open-ended play is a proven educational tool. By introducing play and sound to our outdoor areas, visitors can engage with nature and have fun while learning. 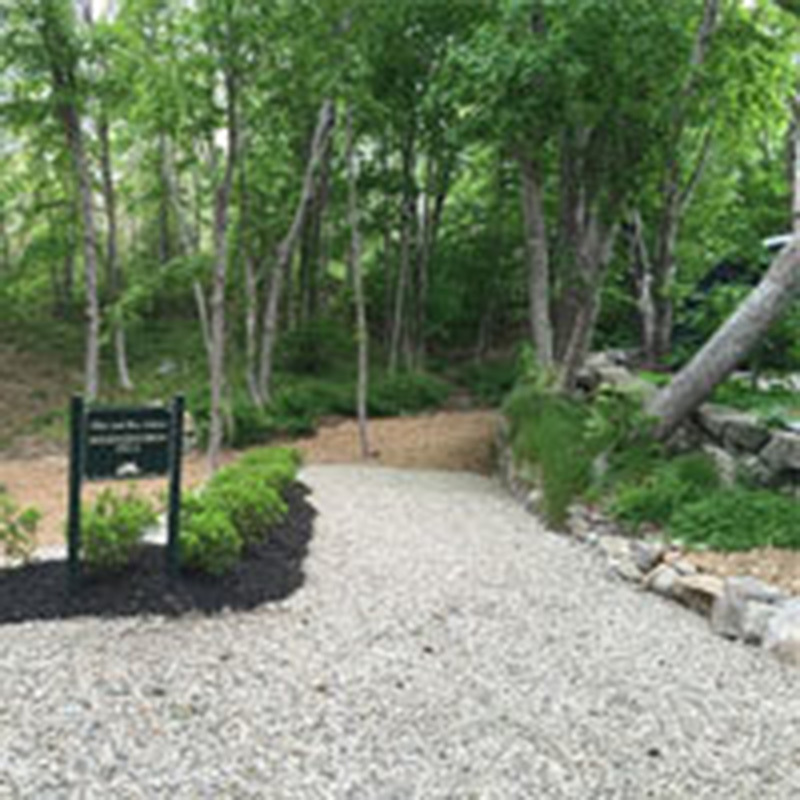 Learn about our Music Garden. Art does not have to be on a gallery wall or up on a pedestal. At its best, art is an experience for all the senses: touch, sight, sound, and more. This project would allow us to install art that visitors can interact with in new and surprising ways. 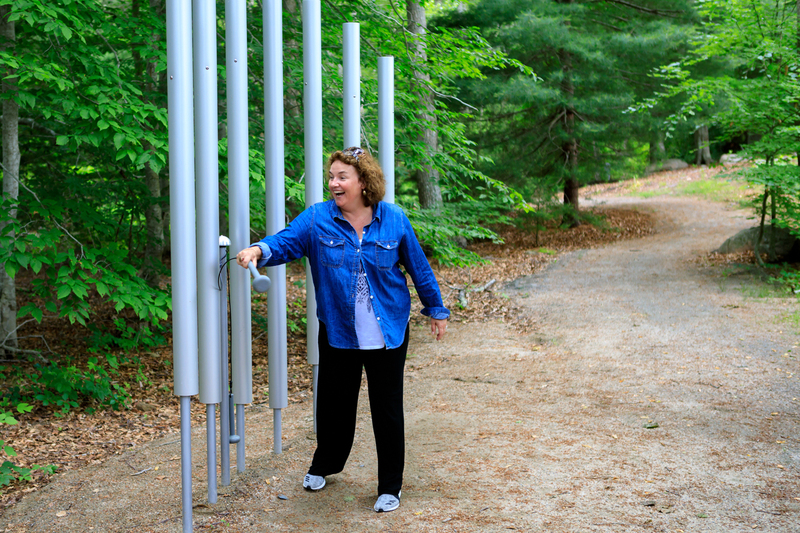 A sculpture garden supports our commitment to bring high-quality art to our local community.